It totally lives up to the hype. 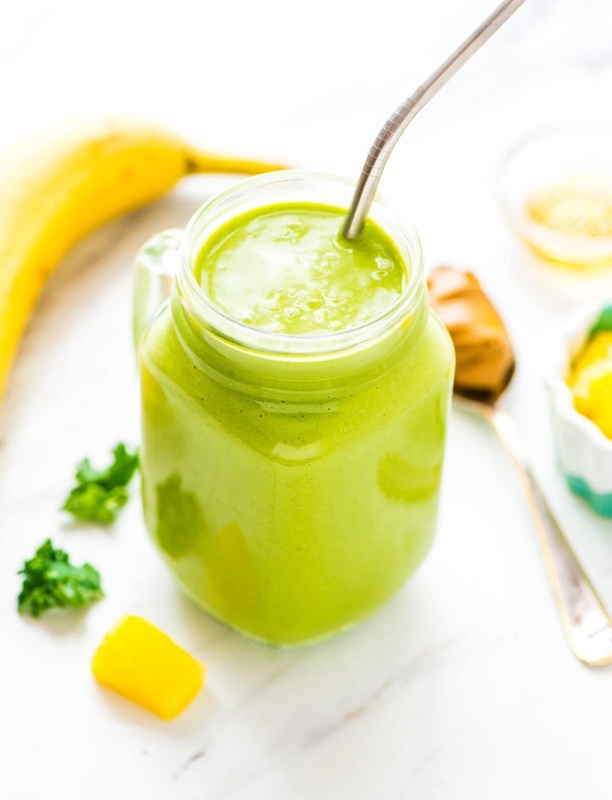 I'm not a huge breakfast person, but I do like having something in the morning to get my metabolism going and keep me full until lunch — and smoothies get the job done. Growing up, I would use my mother's NutriBullet to make them. But when I moved into my own apartment, with my laundry list of other expenses, I just couldn't justify dropping $70 on a blender. 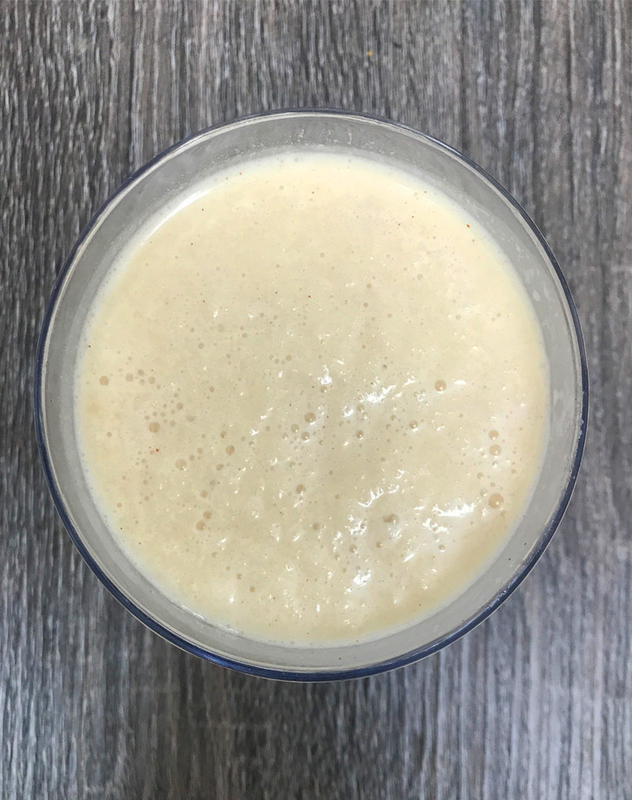 Whenever I craved a smoothie, though, I'd wind up buying one from the closest juice shop — and it soon became a pretty expensive habit. 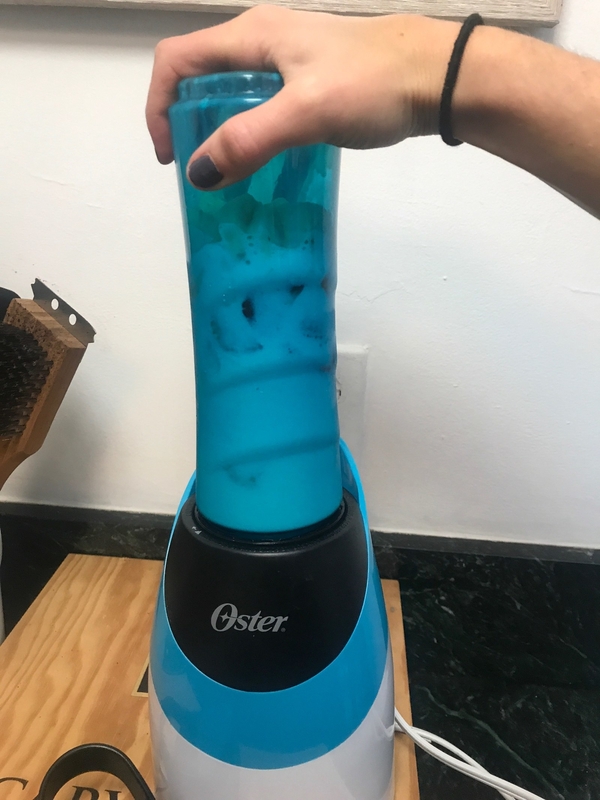 I realized I needed to find an affordable blender stat, and stumbled upon the Oster My Blend. 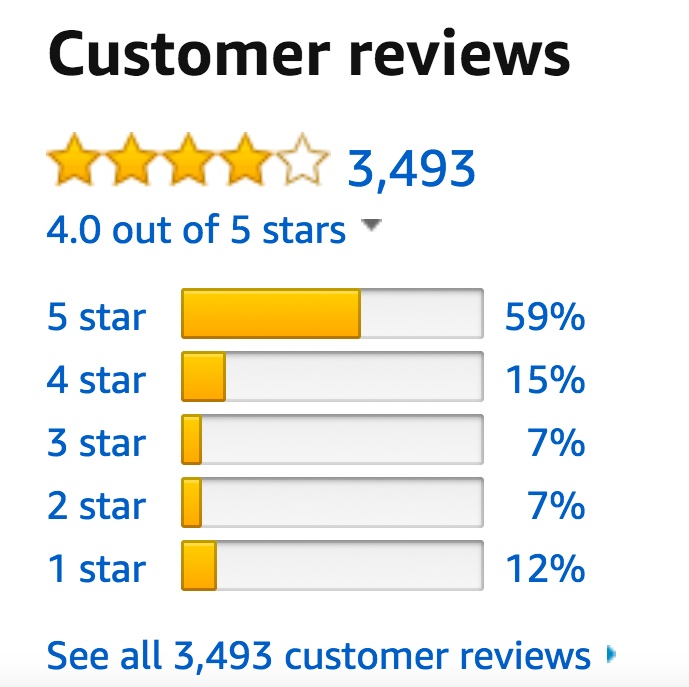 I was sold by its price point and positive reviews: It has a four-star rating with over 3,400 reviews, 74% of which gave it four or five stars, and it only costs $25 (aka the price of three morning smoothies at Juice Generation). Needless to say, I was able to rationalize this purchase pretty quickly. So I ordered one and set it up ASAP. Immediately I was in love with its size and shape: It isn't bulky, and it actually looks ~sleek~. The base doesn't take up much counter space, so it's easily stored in a pantry or cupboard, which is ideal for someone with a small kitchen (aka me). Along with ice, to blend, of course. 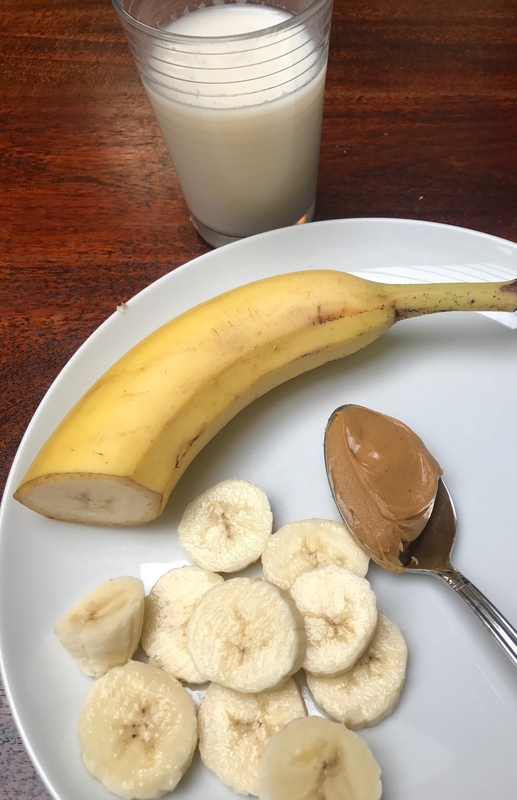 If you wake up particularly hungry in the morning, you might also want to consider adding some protein powder or flaxseeds. Perfect for my commute to work! 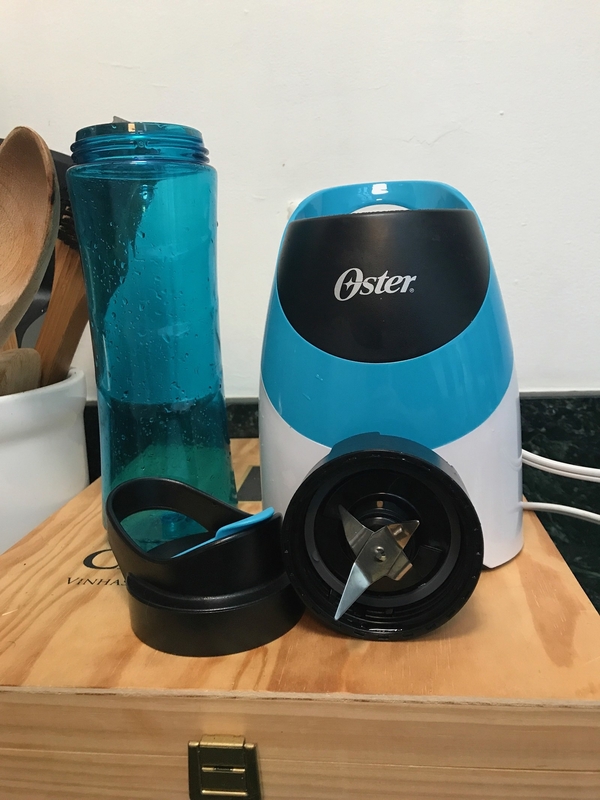 Since I've started using the Oster My-Blend, I've not only saved money, but I've also consolidated my morning routine. 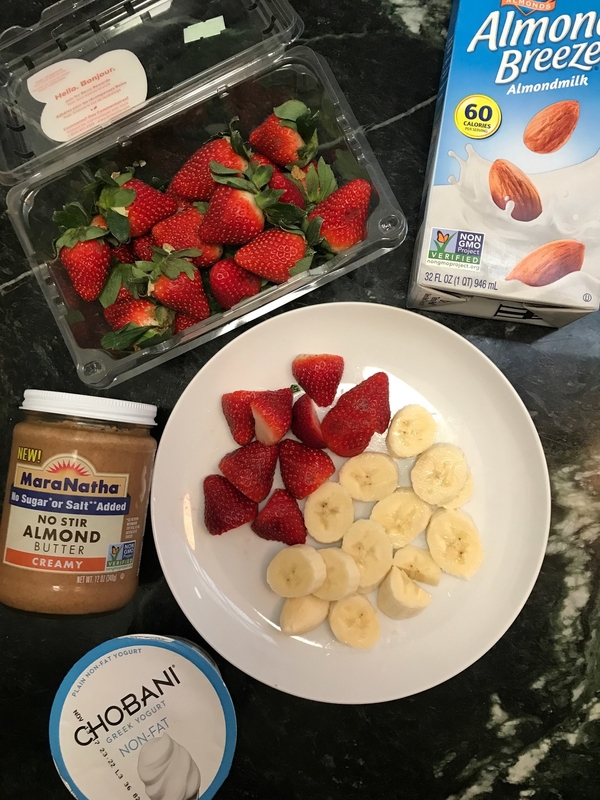 A week's worth of ingredients for my favorite banana-and-almond-milk smoothie costs me less than $5. Plus, I save a ton of time since I'm no longer waiting in line at a smoothie shop or making myself a more complicated breakfast at home. 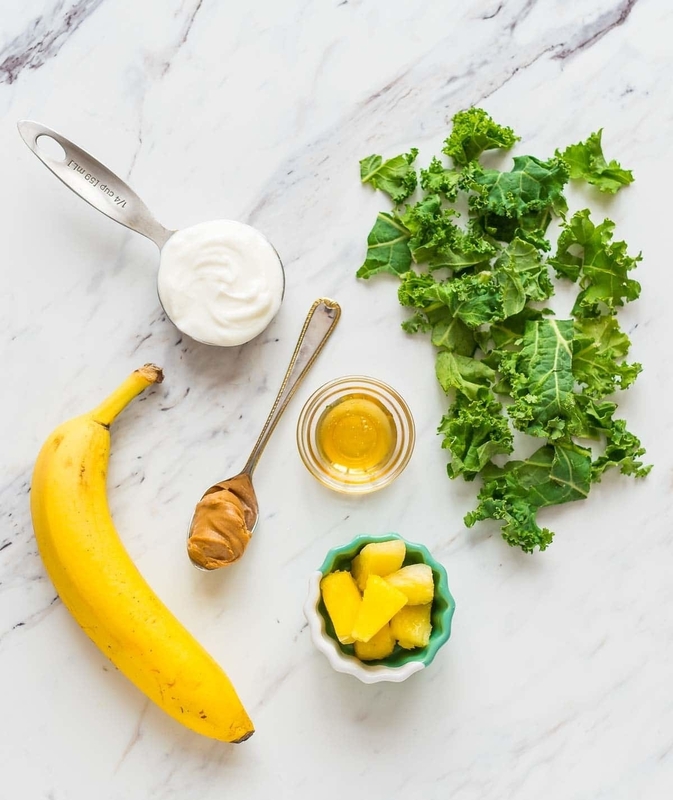 I keep all of my ingredients in one place, throw them into my blender, and my breakfast is ready pretty much instantly. 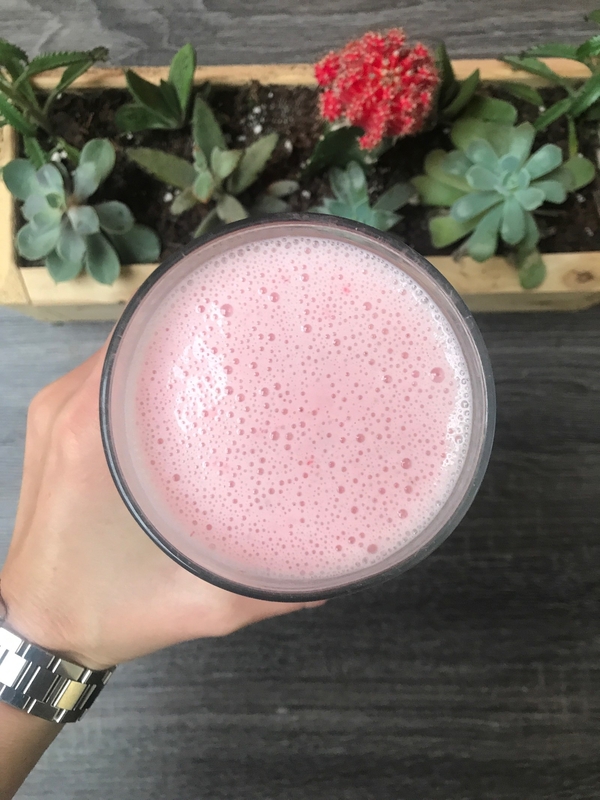 The blender also comes with a bunch of smoothie recipes to try, but here are a few foolproof ones that I love. And finally, a mimosa slushy to upgrade weekend brunch. 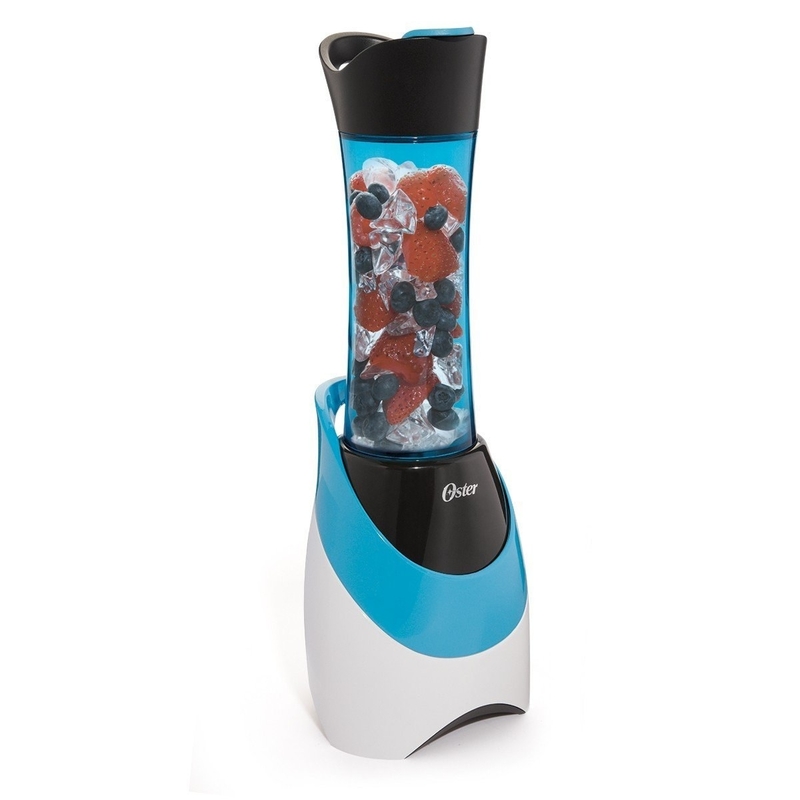 Get the Oster My-Blend from Amazon for $24.99, or from Jet or Walmart for $17.99+.